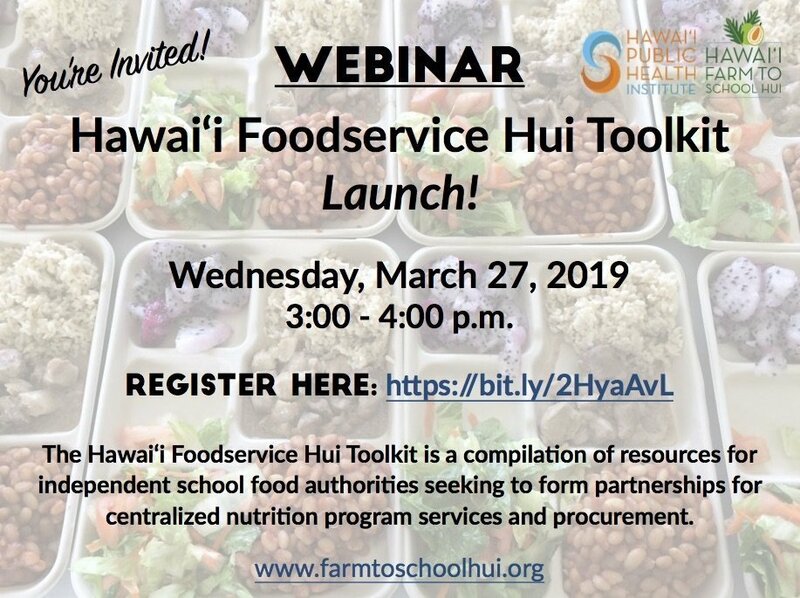 WEBINAR: Hawai‘i Foodservice Hui Toolkit Launch! The Hawai‘i Foodservice Hui Toolkit is a compilation of resources for independent school food authorities seeking to form partnerships for centralized nutrition program services and procurement. This webinar will provide an introduction and overview of the Hawai‘i Foodservice Hui Toolkit with basic instructions for utilization and the opportunity for Q&A with toolkit co-developer, Usha Kilpatrick. 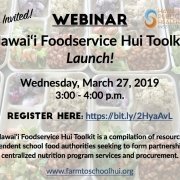 https://www.hiphi.org/wp-content/uploads/2019/03/Hawaii-Foodservice-Hui-Toolkit-Webinar-Invitation_032719.jpg 685 917 HubforHealth https://hiphi.org/wp-content/uploads/2016/08/HIPHIWebLogo.png HubforHealth2019-03-19 10:30:582019-03-19 10:30:58WEBINAR: Hawai‘i Foodservice Hui Toolkit Launch!